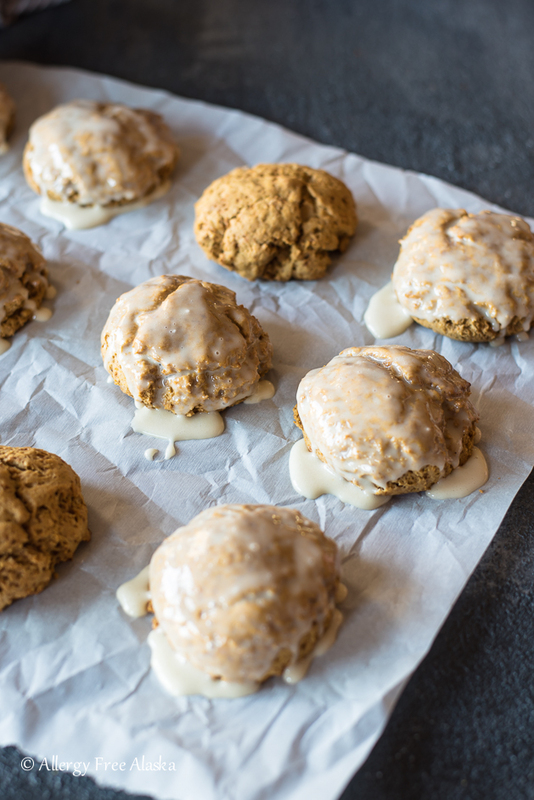 Fall is one of my favorite times of year, and pumpkin-spiced treats like these Gluten Free Pumpkin Spice Scones with Cardamom Icing are just one small reason why. 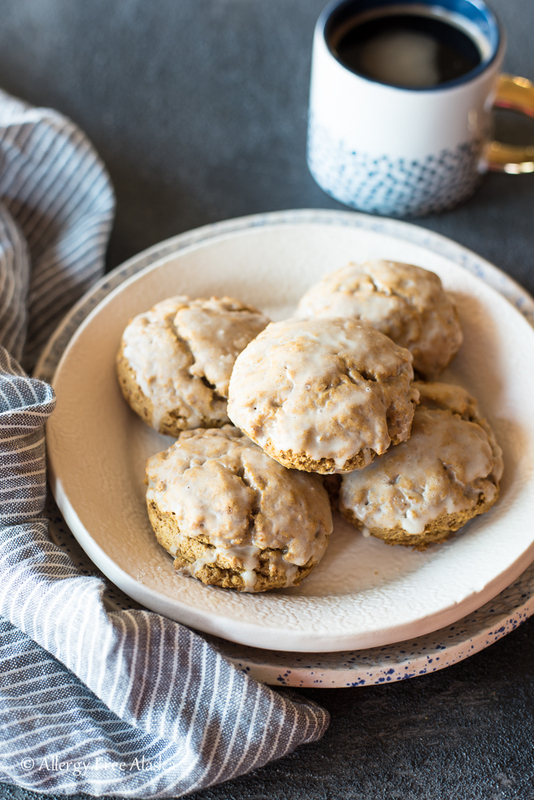 These scones are perfect paired with a cup of tea or coffee, and are so flavorful and delicious, you’ll want to keep a batch on hand all the time! 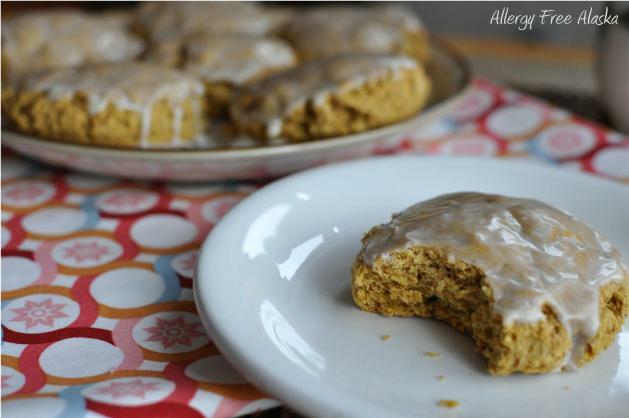 The first time I made these Gluten Free Pumpkin Scones, I made a double batch of them for our church’s Easter Sunday Brunch. They were gobbled up so quickly and well loved by everyone. I’m always thankful when that happens! What really takes these delicious scones over the edge is the cardamom icing. It is lusciously sweet and the cardamom compliments the pumpkin exceptionally well. Normally when making scones, you would roll out the dough and then cut it into triangles. This dough is too wet, which is why I use a scooper to drop the dough onto the baking sheet. Almost like drop biscuits, but these are drop scones! The best part of dropping the dough onto the baking sheet and not rolling it out – waaaayyyy less mess! You don’t have to use a scooper, but I definitely would recommend it so all of the scones are the same size. The scooper I own has a trigger release, so there’s no fighting with the dough to remove it from the scooper. 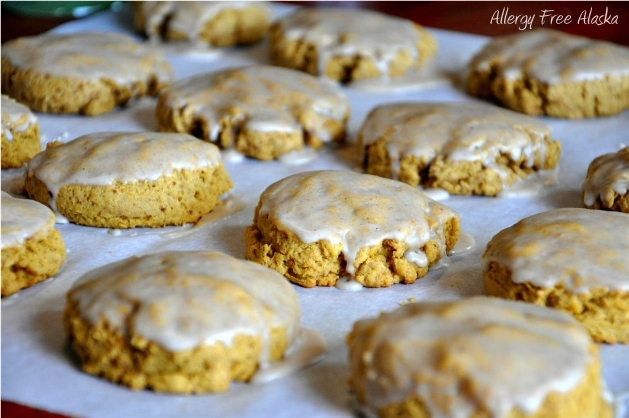 Speaking of sweet treats I’d love to have with a cup of coffee, check out these delish Gluten-Free Pumpkin Donuts from my sweet friend, Chrystal, of Gluten-Free Palate. In a large mixing bowl, whisk together the dry ingredients. Cut in the shortening until mixture resembles coarse crumbs. In a small mixing bowl, whisk together pumpkin, almond milk, vanilla, and egg. Pour the wet mixture into the dry and mix until just combined. Using an ice cream scooper, scoop the dough into balls (about the size of a golf ball) and place onto a parchment paper or silicone lined baking sheet. Wet your fingers and carefully pat down the tops of the dough balls until the dough is 3/4 to 1-inch thick. Bake for 11 – 13 minutes. The scones will not be visibly brown when finished baking; however, the bottom of the scones should be light golden brown when done. Do not over bake. Allow to cool completely on cooling racks before icing. Whisk together ingredients until smooth and add milk until icing reaches desired consistency. Drizzle on cooled scones, or dunk the scones upside down into the bowl of icing. Let the excess icing drip into the bowl before setting the scone aside for the icing to dry. 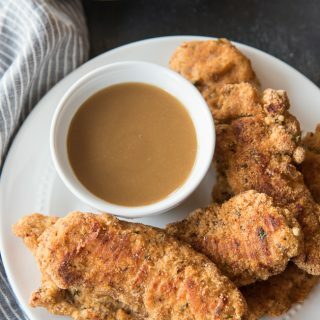 This recipe is linked to Make Your Own Monday, Slightly Indulgent Tuesday, EOA Link Up, Waste Not Want Not Wednesday, Tasty Traditions, and Allergy Free Wednesday. Megan this looks excellent! I am curious though, having never used palm shortening, are there any substitutes for it? Would coconut oil be suitable? Palm shortening is the consistency of Crisco (yet much healthier). It’s thicker than coconut oil and holds the shape/consistency of baked goods (specifically those of the scone and biscuit variety) better than coconut oil does. That said, coconut oil might work, but the scones might be flatter than what you see in my pictures. If you do try making the scones using room temp coconut oil, would you please come back and let us know how they turned out? 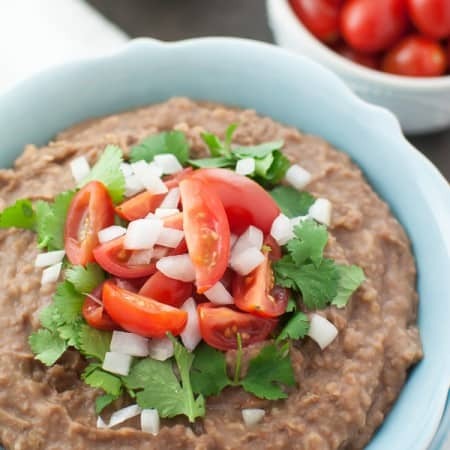 You could probably use 1 cup brown rice flour, 1/2 cup millet, and 1/2 cup tapioca starch. Thoughts on substituting regular baking powder with Ener G baking powder (corn-free), ground flax mixed with water for the egg, and coconut milk for almond milk? Also, what would you suggest to substitute the xanthan gum with? Unfortunately, I need to avoid dairy, egg, wheat, soy, corn, gluten…due to allergies. The Ener G baking powder will be fine, so will the coconut milk. If you can’t use xanthan gum, try guar gum. I think the flax egg should be okay, but I haven’t tried it myself, so I can’t tell you for sure. Good luck! Thank you so much! I can’t wait to try them! It sounds like you and I have similar allergies! What are some of your favorite go to sites if you don’t mind my asking? Oh, Megan, these look fabulous! I love that last photo! 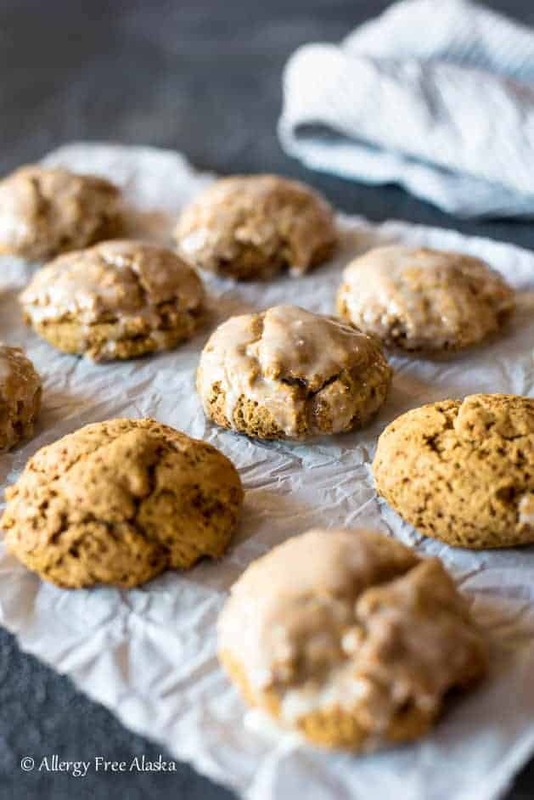 You know I’m a pumpkin lover and I hate it when pumpkin recipes only appear in the fall (usually only October), so I am thrilled to see these delectable scones of yours! 🙂 I’m thinking these will need to be shared on All Gluten-Free Desserts … All the Time soon! 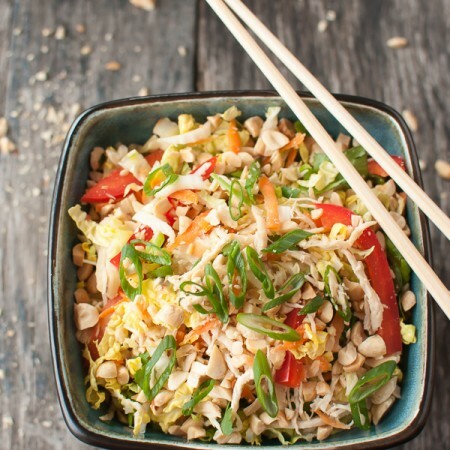 These look pretty and healthy. I have tried all thse flours but millet and like to work with a combination of them as well to get the best texture. These look wonderful! Thanks for a great recipe! These look great! I love cardamom as a secret baking weapon – my Swedish great-grandmother left me with that little gem. I really NEED to get up and running with gluten-free baking! you’ve got me thinking, anyway! Also, as we follow along with Jesus’last week before going to His Father, I am so thankful we don’t get what we deserve! It is all for His namesake and ultimate glory! Oh, what a wonderful Savior we have! May you have a blessed Resurrection celebration with your loved ones! Oh goody!! I have all these ingredients. I can’t wait to make these. I’m just starting the journey of teaching myself how to really bake gluten free and these will be a great recipe to practice. You’re so clever, Meg!!! 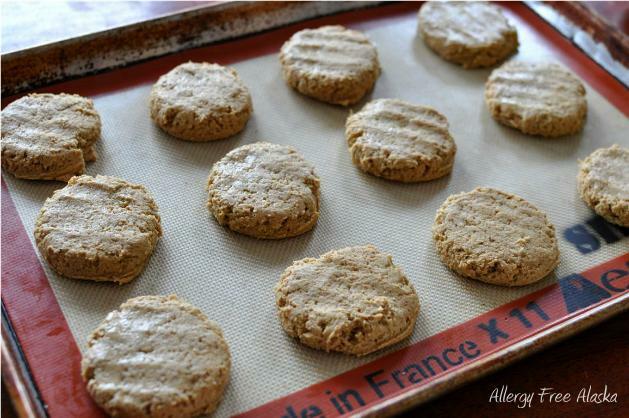 I made these with room temp coconut oil and reduced it to 1/3 cup. They turned out awesome! They did taste a bit salty, did you mean 1tbsp baking soda or 1 tsp? Glad you enjoyed them, Patty! 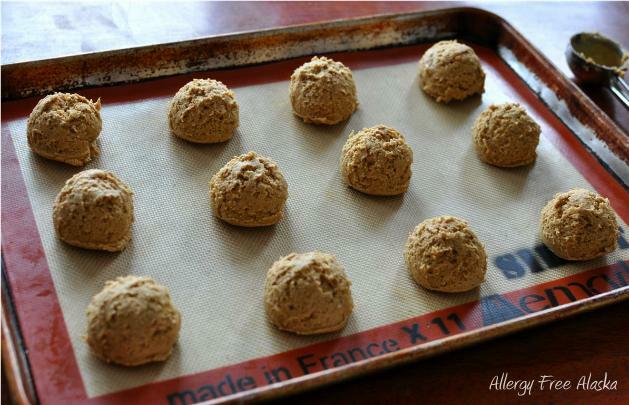 I call for 1 tablespoon of baking powder in the recipe – no baking soda. So nice to “meet” you virtually! I’ve heard a lot about you, too! 🙂 Very happy to have met your daughter. I’ve really enjoyed getting to know her. I hope she bakes you a batch of these too! Thank you so much for the compliment! 😉 I’ve definitely drifted more Paleo over the years too, but like you, I won’t remove food groups that don’t bother me (like beans). Anywhere you see palm sugar, you can definitely replace it with sucant using a 1:1 ratio. I just prefer palm sugar because I don’t think it effects blood sugar levels as much as sucant. 😉 So happy you found me! Call me traditional, but I’m used to seeing scones in a triangle shape. Do you think they would bake up the same with a little pointy end if I cut them in triangles to bake them instead? I’m what I call a “lazy” scone maker, hence the scoop-drops instead of triangles. 😉 If you wanted to do a triangle shape, try to do it without the use of additional flour (otherwise it will get too dry). But yes, I think they would bake up fine as triangles. Hi Megan! We loved these! I had to make mine gum and egg free, so I subbed 1 tablespoon gelatin in to the dry mix and 3 tablespoon dairy free yogurt. We sprinkled with cinnamon sugar on top prior to baking. Really good! I missed the pat down the dough instruction, so my scones were shaped like the scoop. However, they are delicious. I follwed the recipe exactly for the scone, but added a spoonful of pureed pumpkin into the icing. We will definately make these again. Thanks!